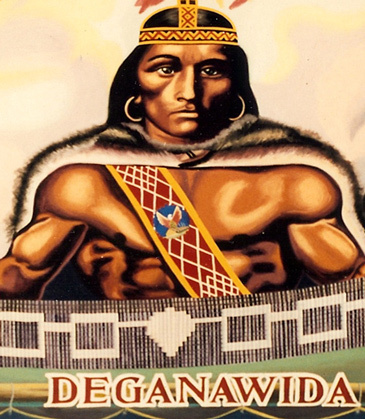 Deganawida, reverently referred to as the “Peacemaker,” not only made peace among the warring nations of the Iroquois, but also brought ethical and moral teachings to the tribes. Let’s try an experiment: Why don’t we compare the teachings of two Peacemakers, Deganawida and Baha’u’llah? Then we can determine, from two different points of view, whether the Baha’i teachings agree with those of the Peacemaker and, conversely, whether the Peacemaker’s teachings resonate with those of Baha’u’llah. Perhaps a better way is to ask is this: Can the Peacemaker’s followers recognize the harmony between Deganawida’s teachings and Baha’u’llah’s? And can Baha’is recognize the harmony between Baha’u’llah’s teachings and Deganawida’s? Same question, but from two different perspectives. Be generous in prosperity, and thankful in adversity. Be worthy of the trust of thy neighbor, and look upon him with a bright and friendly face. Be a treasure to the poor, an admonisher to the rich, an answerer of the cry of the needy, a preserver of the sanctity of thy pledge. Be fair in thy judgment, and guarded in thy speech. Be unjust to no man, and show all meekness to all men. Be as a lamp unto them that walk in darkness, a joy to the sorrowful, a sea for the thirsty, a haven for the distressed, an upholder and defender of the victim of oppression. Let integrity and uprightness distinguish all thine acts. Be a home for the stranger, a balm to the suffering, a tower of strength for the fugitive. Be eyes to the blind, and a guiding light unto the feet of the erring. Be an ornament to the countenance of truth, a crown to the brow of fidelity, a pillar of the temple of righteousness, a breath of life to the body of mankind, an ensign of the hosts of justice, a luminary above the horizon of virtue, a dew to the soil of the human heart, an ark on the ocean of knowledge, a sun in the heaven of bounty, a gem on the diadem of wisdom, a shining light in the firmament of thy generation, a fruit upon the tree of humility. – Gleanings from the Writings of Baha’u’llah, p. 285. Then Tekanawita’ [Deganawida] said, “Who is helping you to guard the field?” Thereupon the man came there, and then Tekanawita’ said “Are you the person who guards this field?” and the man answered, saying, “It is I, indeed, I am the person who stands guard at night at the cornfield;” then Tekanawita’ said, “How do you do it, customarily?” and the man said, “This, generally, is how: when it just dawns, I am roaming about all over the field; sometimes I find corn cobs lying on the ground and I pick up as many as I can find. Then I take them back to the chief’s house, and that is how we do it throughout the harvest. Actually everything is owned jointly, and when the task is done, the way our chief distributes it is in equal shares for them to receive it, all of the people in the settlement.” Thereupon Tekanawita’ said, “Now I understand what your work is, so this shall be your name, they will address you calling you Kanuhkwe’yotu’ [Growing Corn Cobs] and that is what everyone will live by. This is what your work will be now, the newly arriving Good Message and the Power and the Peace. – Deganawida, Concerning the League, pp. 193–196. Thereupon Tekanawita’ stood up, saying, “The Great Power came from the sky, and now it is functioning, the Great Power that we accepted when we reached consensus. So now our house has become complete. Now, therefore, we shall give thanks, that is, we shall thank the Creator of the earth, that is, he who planted all kinds of weeds and all varieties of shrubs and all kinds of trees; and springs, flowing water, such as rivers and large bodies of water, such as lakes; and the sun that keeps moving by day, and by night, the moon, and where the sky is, the stars, which no one is able to count; moreover, the way it is on earth in relation to which no one is able to tell the extent to which it is to their benefit, that is the people whom he created and who will continue to live on earth. This, then, is the reason we thank him, the one with great power, the one who is the Creator, for that which will now move forward, the Good Message and the Power and the Peace, the Great Law. – Deganawida, Concerning the League, pp. 294-296. These two teachings, by the Peacemaker and by the world’s newest God-sent Peacemaker, are one in spirit. 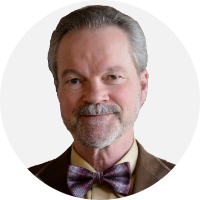 If you have any doubt, just imagine a meeting between Deganawida and Baha’u’llah. They would honor and respect each other. If that is true, then shouldn’t we do likewise? Let’s give thanks for these noble teachings. They are timeless. They ring true today, as they did in days gone by.